Experience the untouched nature at eco-conscious Las Caletas Lodge in Southern Pacific Costa Rica on the Osa Peninsula. 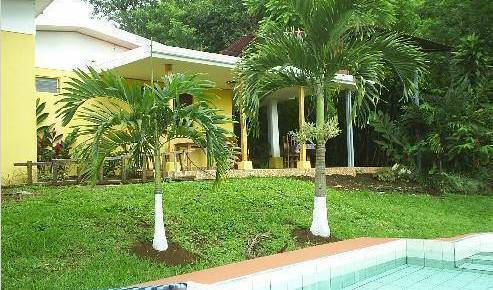 Conveniently located in the heart of Alajuela just 2 miles from the airport and close to shopping and restaurants. 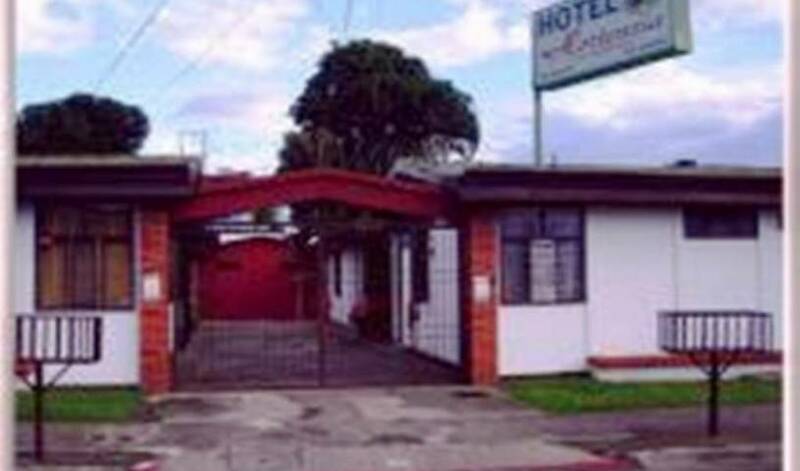 We are a small Hotel in Alajuela with all the comfort and attentions so that you feel like in your own home, located closely together of the airport and downtown. Santamaria Hotel is just 1 M (3 to 5 minutes) away from Costa Rica's International Airport, and by Juan Santamaria Park in downtown Alajuela, the second biggest city in the country. Newly refurbished Hotel Villa Dolce is a gem located in Alajuela, Costa Rica, 5 minutes away from the Juan Santamaria International airport. Cataratas Bijagua Lodge un lugar perfecto para descansar y pasar un buen día al pie de la montaña disfrutando de la belleza natural y el hermoso jardín que rodea nuestras cabañas. Rio Celeste Hideaway is a luxury hotel in an oasis of tranquility that offers unique and stunning natural accommodations. Resort hotel in the foothills of Poas and Barva volcano. 25-35 minutes from Airport and San Jose. 18 acres of trails and waterfalls to explore. Bird watching and butterfly areas. Cabinas Diversion Tropical at Playa Conchal in Costa Rica is a boutique hotel with comfortable, clean, and affordable rooms, rancho with kitchen, and pool. At Hotel Belle Fleur we guarantee the beautiful tropical experience you have been searching for. We offer everything you need to ensure that your vacation is just that and more. The Hotel Playa Carmen is a fantastic brand new hotel situated right next to the beach at Playa Carmen and located next to Mal Pais on the Nicoya Peninsula. Casa Aura B&B started business early in 2009 and is family operated. Conveniently located: right in the heart of the city. Ours is a warm and friendly place that will allow you to explore all the fascinating sites nearby. Drake Bay is an oasis of natural beauty and peace in our increasingly hectic world. We offer a simpler lifestyle that is more in tune with nature. Located in Escazú, San José's best quarter, Tierra Magica is a new, quaint B&B and Art Studio with beautiful bedrooms, wireless internet, cable TV. Delicious breakfast included! If you are looking for a nice, safe and friendly place to stay in La Fortuna, you have to visit Hotel Dorothy and enjoy of the beauty of the Arenal Volcano area. 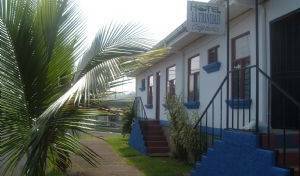 A premium Hostel & Backpackers in La Fortuna Towm. La Fortuna Backpackers, is a family Project, with the idea of create a place where the visitors can lodge in a friendly, clean, safe and low budget space; where they can enjoy all the natural attractions offered by La Fortuna, San Carlos. Debido a que somos más de un volcán y rodeado de exuberante vegetación en las zonas tropicales de Costa Rica , espero para su cómodo descanso y disfrutar . Cabinas Faro Arenal es un proyecto familiar ubicado en la Fortuna de San Carlos, que brinda hospedaje para el descanso y la recreación. Catarata Eco-Lodge, we maintain the concept of personalized lodging with costarrican's hospitality and leaning on environmental sustainability because we know that welfare may be given by preserving natural resources for future generations. We are a magnificent lodging option in the area of the imposing Arenal volcano, we can proudly say and without a doubt, that Monte Real Hotel is the best choice in La Fortuna downtown. Lush, green vegetation as far as the eye can see, with leaves as big as elephant ears. Jade colored water. Toucans, monkeys, iguanas, dolphins, majestic blue butterflies – all are here at Playa Nicuesa Rainforest Lodge, in Golfo Dulce, Costa Rica. "Much more relaxing than staying in San José"
Costa Rica no artificial ingridients! Surf and waves! Strategically located in Pueblo Nuevo, Jacó, you will find EL PASO DE LAS LAPAS an exclusive Eco Boutique Hotel with 10 spacious suites totally equipped. All of them with either a terrace or balcony and a spectacular view of a virgin mountain area. Ecoplaya Beach Resort represents an option of rest and comfort in a region of intense ecological protection. Funky Monkey Lodge surf lodge in Santa Teresa- 2 min walk to the beach. Prices from $15 -shared rooms, private bungalows, apartments with AC and ocean view. Brand- new youth hostel located, at Playa Santa Teresa, 100 mts away from the best surf breaks. Cuesta Arriba Hostel is located 100mts from the wonderful beach of Santa Teresa, right on the well known surf break called "La Lora". Conveniently located in the heart of Santa Teresa, 150 yards from the main surf break, walking distance to stores, shops, and restaurants, the OTRO LADO LODGE offers a pleasing and relaxing view of the forested hills surrounding the pueblo. SLEEP CHEAP AND GOOD AT SOLYMARBACKPACKERS IN MANUEL ANTONIO (Places nearby restaurant bars. liquor store, and very close to the beach and National Park of Manuel Antonio . Costa Rica (Pura Vida ) !!! Quaint hotel just a few minuts from the famous National Park Manuel Antonio. 15 tastefull decorated rooms located in a tropical garden overlooking the swimming pool. - Hy Paradise Inn es un moderno Hotel, de carácter familiar rodeado de jungla y de fácil acceso. El alojamiento está comprometido con los altos estándares de servicio al cliente, calidad y conservación. Las Cascadas “The Falls” is family-owned Boutique Hotel located in the Town of Quepos, just minutes away from the world famous Manuel Antonio National Park and all its wonders. This new establishment offers a unique service with the most comfortable rooms. Rooms with Bathrooms or Dorms. Free Breakfast(Pancakes, fresh fruit, Toast with Eggs) You will enjoy a comfortable time and help you to organize any activity. We are a family operated hotel, started in the mid 90´s with the philosophy of preserving nature and make every one of our guests feel like at home. So if it`s the real MONTEVERDE experience you`re looking for, Come to SLEEPERS SLEEP CHEAPER HOSTEL and start living it! Different prices for different needs, come to Orosi VAlley to enjoy all the activities you can imagine. Family run Hostel in Playa Negra, Costa Rica! Feel at home and enjoy! A great spot for travellers looking for a friendly and exclusive atmosphere. Poas Lodge is the closest accommodation to Poas Volcano National Park. 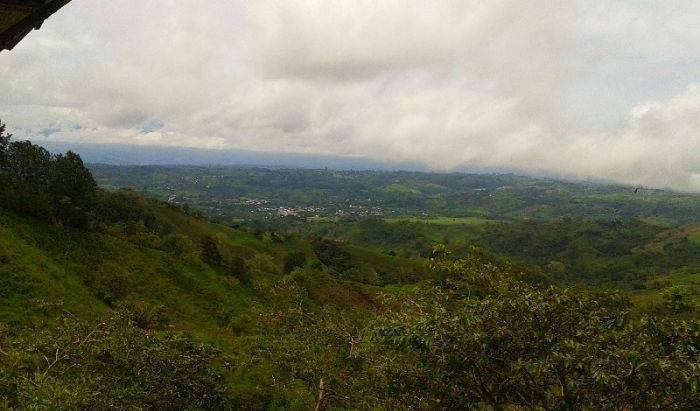 It also has one of the most amazing views of all of Costa Rica. Pura Vida! Welcome to Las Brisas Resort and Villas, Playa Hermosa's best kept secret. Our boutique hotel was completed in the fall of 2007 and features charming interior designs and good quality accommodations. Il Giardino offers the Finest Food in Town from 1999, and now we have 4 nice rooms to rent, all with A/C , hot water and Wi-Fi, just on the Beach!! 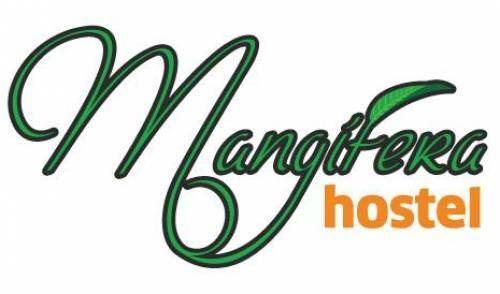 Manzanillo's only hostel. Located on Lonely Plant's "BEST BEACH ON COSTA RICA"
26 room Afro-Caribean style lodge on the stunning Black Beach in Puerto Viejo, Costa Rica. Villas Jacquelina Hostel B/B #1 rated on Trip Adviser for 2 years. Somos un hotel familiar de 12 habitaciones ubicados en Santa Rita de Río Cuarto de Alajuela contamos con piscina natural, senderos, agricultura órganica en donde se conectara con la naturaleza. Casa Girasol is your Costa Rica and Central America hub we are in the middle of all 4 cardinal points with quick access to public transport, roads to major attractions and a stone throw to downtown San Jose. Build for travellers by a world traveller. Brand new hotel at Samara beach, just few feet away from the beach. Restaurant, Swimming pool with a wet bar, Jacuzzi, Spa, and a Tiki bar with an amazing sun deck. Lands in Love Tierras Enamoradas Hotel and Resort is an environmental and animal-friendly zone, located in a hidden valley in front of a cloud forest, approximately one hour from San Jose, central Pacific beaches and the Arenal Volcano. Suria Lodge is located in the evergreen and misty valley of San Gerardo de Dota, high in the mountains of Cerro de la Muerte. First backpackers hostel in Costa Rica. We are independent and locally run, and as such you will get the personal touch not found in big chain hostels. We opened our doors in 2001, and have been the number one meeting spot in the San Jose ever since. Hostel Van Gogh - The best Hostel of San José!! Truly!!! If you are planning to come to Costa Rica or if you are looking for a place to spend a couple of days before you go home, Hostel NOMADAS is your best choice. We are located in a very good spot in the city. 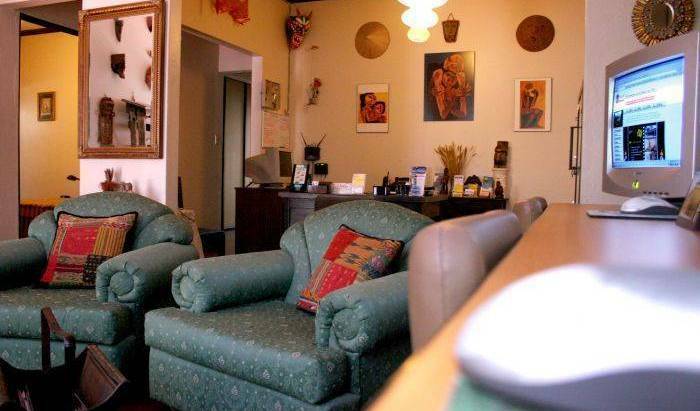 Hostel Casa del Parque in San Jose, Costa Rica is a calm and relaxed guesthouse for the budget traveler perfect for backpackers as base point to explore Costa Rica and other parts of Central America. Our hotel is located at the most historical spot in downtown San Jose, Costa Rica, with a colonial style arquitecture , the charming place to stay in Costa Rica. A historical colonial house in the best location of downtown san jose, 3 blocks from National Museum and Jade Museum, 4 blocks from National theatre. 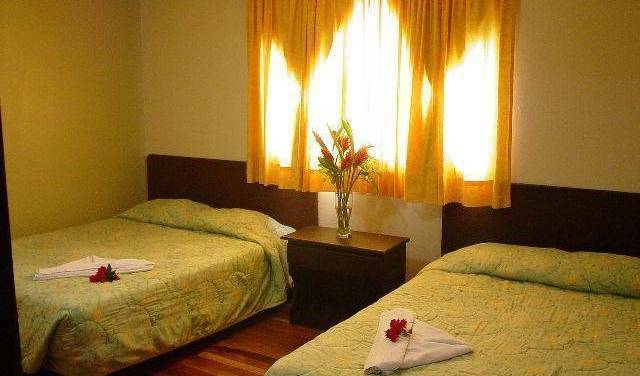 Offering private bath and shared bath room with internet 24/7 and breakfast incluided. Beautiful renovated historic mansion at the heart of San Jose, very competitive prices for brand new amenities in very central location! Brand new hostel in a safe and central part of San Jose. A place to make new friends, drink cold beers, cook in the communal kitchen and chill out in the communal spaces. Top rated Hostelling International hostel in San José! Great location, affordable rooms and excellent guest service. If you are a looking a beautiful hostel, at a great price, in a safe area and a wonderful cheap, environment during your San Jose visit look not further and do not hesitate to contact us. Free breakfast, free wi-fi , heated Jacuzzi, pool, fitness center , restaurant, and great open air terraces, gardens with views, Walk to all attractions in San Jose’s Historical District, Barrio Amon, clean , safe and quiet ! Housed in a beautifully restored 1904 building, this fine guesthouse features 23 individually decorated private rooms with king size bed. Double room $32, with bath $45. Continental breakfast included. An adult couples only Hotel overlooking the valley of San Jose, Costa Rica. Only 20 minutes from the airport. Mountain Lodge located in the slopes of the Turrialba volcano, Costa Rica. Magnificent views and excellent services. Good restaurant, bar and tour desk to facilitate your visit. Opportunities for cultural, nature and adventoure tours. Our friendly boutique hostel is surrounded by a lush garden, ideally situated between the two main surf breaks of Playa Carmen and Santa Teresa. Whether you are a beginner surfer or a seasoned pro, you are sure to find your perfect wave. Casa Pampa is your beach house, just a few steps away from the warm Pacific Ocean. For those who love 'Natural Ingredients', Raratonga is the perfect place to be, completely made of wood, surrounded by tropical gardens. Only at 70 mts from the access to the main surf spot and 5 mins walk from the centre. The best hostel closest to the beach and the nightlife, a great place to relax, surf and make new friends. 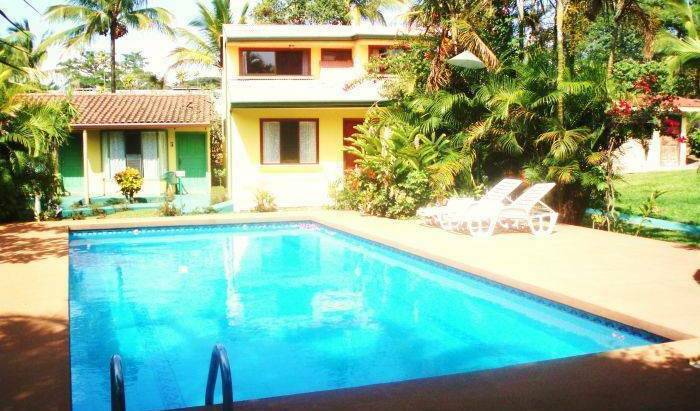 Best Hostel in Tamarindo! Why rent a room when you can have an apartment? 200mts From Playa Grande Beach!!! Our beautiful Playa Grande hotel is the place to relax and unwind. Pick one out of four room types that will cater to your every need for an unforgettable vacation. All of them equipped with their own bathroom, hot water, and queen beds, blanket, pillows and towers. When you stay at Hotel Samsara in Uvita, you'll be near the beach and convenient to Marino Ballena National Park. This beach lodge is within the region of Alturas Wildlife Sanctuary and Nauyaca Waterfalls. Arenal Hostel Resort in La Fortuna town with beautiful gardens and Hammocks. Con vistas imprecionantes y unicas del volcan y lago arenal. Peacefull and romantic, ideal place to enjoy nature, extraordinary views and privacy. Access to activities in the area; hiking, horseback riding, canopy, hanging bridges, etc.